Paul Byrom was a founding vocalist in Celtic Thunder. Perhaps no vocal range is more true and pure than the light, lyrical tone of an Irish tenor. 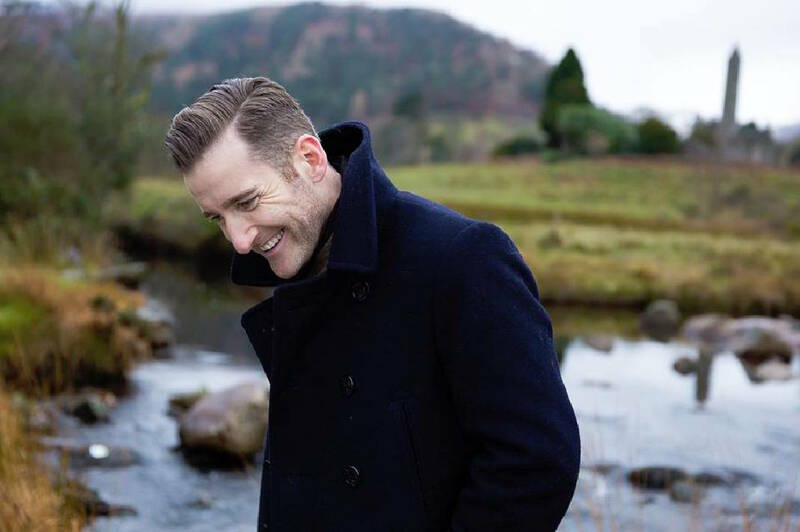 Paul Byrom has been hailed as one of Ireland's premier tenors. The Dublin-born tenor has been in the music industry for more than 20 years, recording his first album, "The Golden Voice," at 14. His talent led to invitations to perform for dignitaries such as Emperor Akihito of Japan, former presidents Mary McAleese and Mary Robinson of Ireland and former U.S. president Barack Obama. He is making his first visit to Tennessee this week as part of his "Summer From Dublin" tour, a performance of songs and stories from his two-decade career. He'll sing at Red Bank Cumberland Presbyterian Church, 115 Morrison Springs Road, on Friday, June 9, at 7:30 p.m.
Byrom is an avid sports fan and performs regularly at high-profile sporting events. These include six All-Ireland finals in Dublin's Croke Park and international rugby games in Aviva Stadium in Dublin. He is a founding member of Celtic Thunder, touring North America and Australia with the group, which had six No. 1 albums. After leaving that production, his own album, "This Is the Moment," debuted at No.1 on World Billboard charts. In 2013, he filmed his first solo TV special for public television, also called "This Is the Moment," with his orchestra and musical director Phil Coulter. The show has since aired throughout the United States and as away far as Australia. Last year, his latest album, "Thinking of Home," reached the top of iTunes and Amazon charts. He was recently named Irish Tenor of the Year for the second time in three years by the Irish Music Association. Tickets for his concert may be purchased at the door, but only cash will be accepted for payment. Tickets may be purchased online in advance at paul byrom.ie/paulbyromnews _events.php.